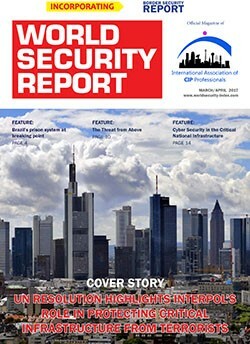 Please find here your downloadable copy of the March/April issue of World Security Report for the latest views and news, incorporating Border Security Report. World Security Report, incorporating Border Security Report, is your bi-monthly electronic, fully accessible e-news service distributed to over 50,000 organisations globally. It tracks the full range of problems and threats faced by today’s governments, armed and security forces and civilian services and looks at how they are dealing with them. World Security Report is a prime source of online information and analysis on security, counter-terrorism, international affairs and defence.